Search for your holiday accommodation below. Cape Town's recorded history begins in 1487 when Bartholmew Diaz sailed around the most south westerly point of Africa. He was on a mission to find the sea route to the East and got caught in a winter storm which swept him southwards past Cape Point and out into the southern Atlantic Ocean. After the storm abated he found that he was lost at sea . His voyage from Portugal had followed the coastline of Africa which was on the eastern side of his ship as he made his way southwards. After the storm he found himself out of sight of land so he decided to sail eastwards. After a number of days of sailing eastwards and not finding land he changed course and sailed northwards. 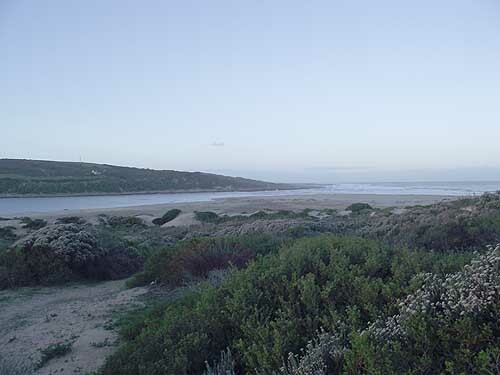 There he eventually sighted the southern coastline of Africa and landed at the mouth of the Gouritz River mouth near what today is Mossel Bay. On his return trip to Portugal he once again rounded the Cape and recorded the details on his maps. The discovery of the route around the Cape opened up the sea route to the East. After Diaz's successful rounding of the Cape many other ships followed the route and Table Mountain soon became a beacon of hope for the mariners. 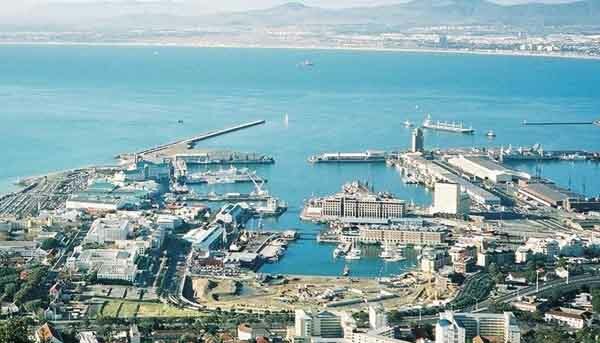 Then in 1503 Antonio de Saldanha became the first European to land in Table Bay. He was so impressed with Table Mountain that he climbed it and gave it its name of Table Mountain. To celebrate his successful landing at the Cape he carved "the great cross" in the rock of Lions Head. Unfortunately he and his crewmen got into a fracas with the local Khoi and Hottentot people and a number of his crew were killed. In 1510 another group of Portuguese sailors also got into a serious skirmish with the locals and again a number of sailors were killed. Further navigators followed in Diaz's footsteps and in 1580 Sir Francis Drake sailed around the Cape in The Golden Hind. The breathtaking beauty and the ruggedness of the Cape Peninsula impressed Drake to such an extent that he wrote - "This Cape is a most stately thing, and the fairest Cape in the whole circumference of the earth". Cape Town is known by two names. "The Fairest Cape" which is the name used during the summer months when the south east trade winds blow and the Cape is at its most beautiful and the "Cape of Storms" is the name that is used in the winter months when the storm clouds gather and the Cape is battered by strong north winds and very rough seas. The beginning of the Cape colony came about when in 1647 the Dutch ship Haarlem ran aground in Table Bay stranding the crew on the beach with no way of getting back to Holland. These people had no option but to make a garden to feed themselves until they could be rescued. When the survivors returned to Holland they reported that the Cape was fertile and suitable for growing vegetables and fruit. Their report persuaded the Dutch East India company to establish an outpost at the Cape, where their ships could put in for water and supplies and their sick, suffering from scurvy and other diseases could be treated. In 1652 Jan van Riebeeck arrived in the Cape in three small ships bringing with him 90 crew members. They anchored their ships in the bay and came ashore. Their first task was to establish a fort and a garden. The Grand Parade in Cape Town is the site that was chosen for the fort and the gardens were laid out nearby. The outpost set up by van Riebeeck became a popular stop for not only Dutch ships but others as well and this forced the Dutch East Company to let sailors and soldiers in its service settle at the Cape and start their own farms. In 1658 the first slaves were imported, from the East Indies and Central Africa to help with the increasing workload and demand for food, water and meat from the passing ships. By the time van Riebeek left for India in 1662 the little settlement had a fort, a hospital, a jetty, workshops and a granary, as well as houses. The settlement was laid out in a grid formation with roads running from the mountain towards the sea and cross roads were built every 100 metres or so to allow people access to their homes and also to allow water to be channelled past the houses. In 1662 the new governor at the Cape started work on the new fort which was built a short way from he existing wooden fort on the Parade. 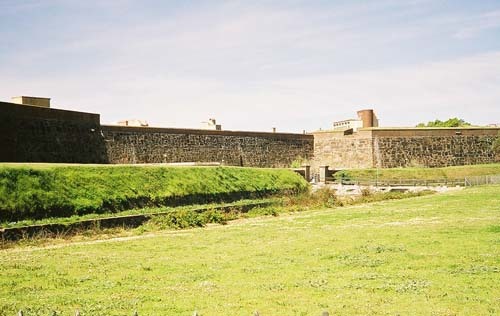 This fort is today known as the Castle of the Cape of Good Hope and is built in the shape of a star with five bastions. 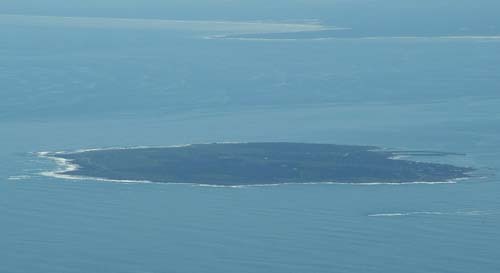 The fort was built on the shores of Table Bay. Today the sea has been moved back by reclaiming land. The castle now finds itself in the middle of the city. The Dutch continued to grow the colony until in 1795 when there were about a 1000 houses and a population of around 14000 people, the British attacked the colony by landing troops in Simonstown and defeating the Dutch at the Battle of Muizenberg. They then took control of the colony from the bankrupt VOC. In 1803 the Cape was handed back to the Dutch in terms of the Treaty of Amiens. 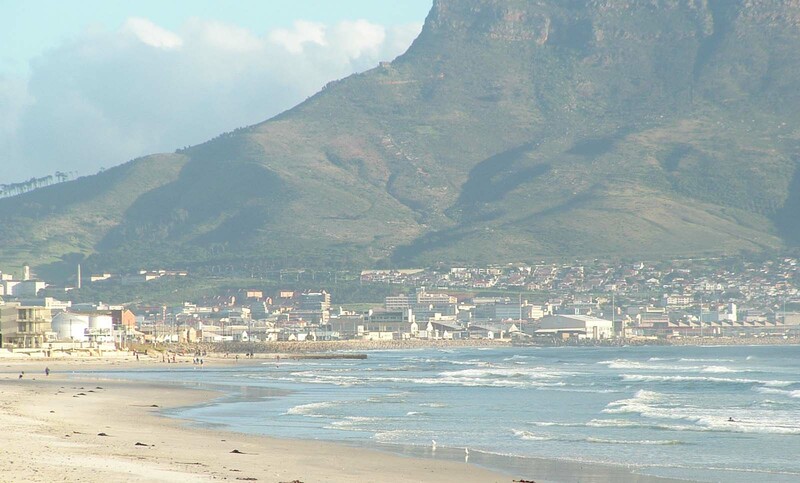 The second term of Dutch rule of the Cape lasted for a period of less than three years when once again the British attacked the colony in 1806 , this time landing troops at Bloubergstrand about 25 kilometres north of the city and once again they defeated the Dutch. The colony was eventually ceded to the British on 13 August 1814. The Dutch had imported many slaves during their tenure in the Cape. The British did not like the slave trade so abolished it in 1808. After 20 years of negotiations the Khoisan were finally given the explicit protection of the law which included the right to own land. The outlawing of slavery caused the Dutch (who by this stage had become known as Afrikaners)much dissatisfaction and they decided to leave the Cape en masse. This migration of the Afrikaner became known as the Groot Trek. 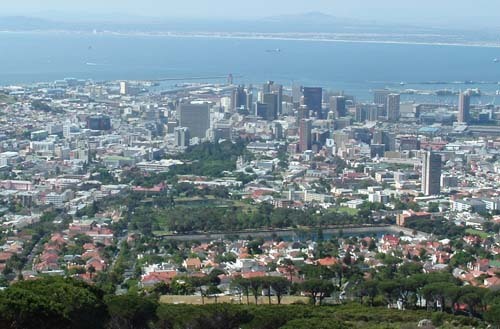 Cape Town is today a bustling city with a population in excess of 3.75 million people. Although the Apartheid regime of the nationalist party has long gone the people of Cape Town mainly stay in the areas that were designated to them by Apartheid. Integration is happening slowly as people with money can now afford to buy into previously designated white areas. The streets of Cape Town are still laid out in the grid formation set up by the Dutch but whereas there were houses in those streets, today there are many large buildings which include hotels, shops and offices. Some of the older buildings still exist but have been modernised inside just keeping the facades of the old buildings. 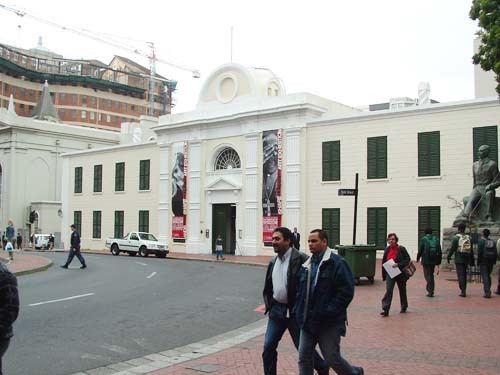 Some of the older buildings are the Castle, Houses of Parliament, Groote Kerk and Greenmarket Square. 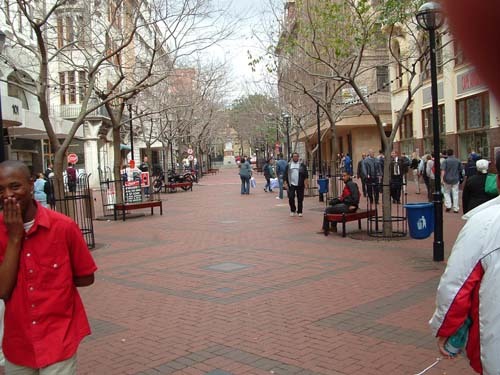 Some of Cape Town's streets have been turned into walking malls. St Georges Street is one such street which now forms part of the fan walk set up during the 2010 Fifa world cup. The Company gardens still exist alongside the houses of parliament and St Georges Cathedral. These are all tourist destinations to be visited. The old slave lodge which was built by the Dutch to house their slaves still exists on the corner of Adderley and Wale Streets. The slave lodge is today a museum and is one of a number of museums scattered around the city. The main tourist attractions in Cape Town today are the V & A Waterfront which was once the old harbour in the city before the Duncan Dock was built. Table Mountain the icon of the city is one of the main attractions as is the Kirstenbosch gardens. Tours to Cape Point and the Winelands of the Cape are very popular as are visits to Robben Island. This website has in excess of 300 articles about Cape Town and its surrounds. Please use it as a guide when visiting Cape Town. We would love to see you in our beautiful city. You will find a whole new world just waiting for you to explore. Table Mountain is made up of three rock types. Sandstone at the top, shale in the middle and granite at the base. Our background picture is of the granite on which our mountain stands. 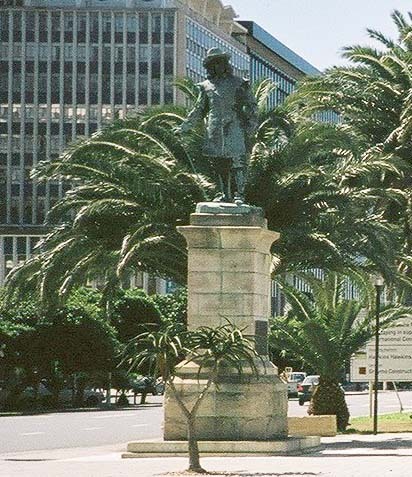 Jan van Riebeeck arrived in Cape Town in 1652 and established what today is known as the Company gardens. He planted a pear tree in the garden 350 years ago which is still growing and bearing fruit today. The statue of Jan van Riebeeck pictured in the main article on this page is sited where van Riebeeck anchored his three ships when he arrived in the Cape in 1652. The beach where he landed is no longer a beach but part of the reclaimed foreshore. The sea has been pushed back by around 2000 metres from where it once was.